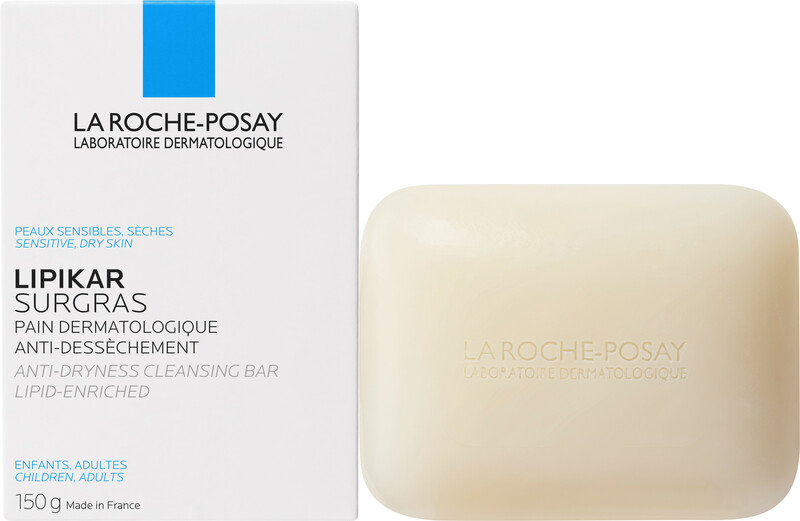 Care for your sensitive skin daily with the La Roche-Posay Lipikar Surgras Anti-Dryness Cleasning Bar, a compensating cleanser for all the family. The replenishing bar is specifically adapted to suit the needs of severely dry skin in both children and adults. Restore a depleted lipid count with nourishing, emollient shea butter concentrated at 1% plus glycerine. Amino acids protect the skin, while calcium neutralising EDTA prevents dryness and irritation caused by hard water. It cleans thoroughly without drying the skin out, and will not alter the pH of skin that is already sensitive and dehydrated. Itchy, flaky skin is eradicated, and the skin is perfectly prepared for moisturisation. 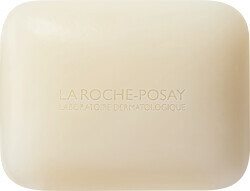 La Roche-Posay Lipikar Surgras Anti-Dryness Cleansing Bar 150g is rated 5.0 out of 5 by 2. Rated 5 out of 5 by Gisele from Gentle alternative to soap I bought this soap for a friend who finds that ordinary soaps irritates her dry and sensitive skin. She loves it, says it leaves her skin clean, soothed and refreshed. La Roche-Posay Lipikar body cream is perfect for applying afterward, to keep the skin moisturised. Rated 5 out of 5 by Dlp123 from Great product At last I’ve found a product that helps my skin,helps the irritation and has definitely improved the texture. Time to stock up on this product.